Caietti Law Group, APC counsels and represents both employers and employees in a wide range of employment law matters including wrongful termination and discrimination claims. Prior to a dispute arising, Caietti Law Group, APC advises clients as to their rights and how to protect their interests. When a dispute or issue results in legal action – whether in state or federal court or before a state governmental agency, the firm assertively and energetically represents its clients. Protecting a company's rights and interests in the area of employment law means more than just hiring and firing smartly. A successful San Diego and Riverside wrongful termination attorney will tell an employer that the best way to avoid a lawsuit is through the implementation of sound and fair employment and record height-keeping policies. In our active consultation practice, Caietti Law Group, APC focuses on helping companies develop, institute, and manage employment policies that comply with the ever-changing federal and California employment loss. Caietti Law Group, APC assists in developing and implementing strong hiring and termination procedures including drafting employment contracts and agreements as well as employee handbooks. When the need arises, Caietti Law Group, APC also is experienced in negotiating and drafting severance and separation agreements. When a dispute reaches the point where it involves court or a governmental agency, Caietti Law Group, APC vigorously represents its clients through litigation. 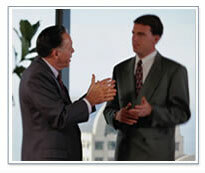 Caietti Law Group, APC has tried multiple cases to juries and judges. The firm uses its knowledge of the law and extensive understanding of the practical aspects of business and human resources management to obtain positive results for its clients. For an initial consultation with a San Diego and Riverside wrongful termination attorney at Caietti Law Group, APC, call 858.623.5644 or contact us online.